I recently had the privilege of sailing in the Disney Dream compliments of the nice folks at Disney. 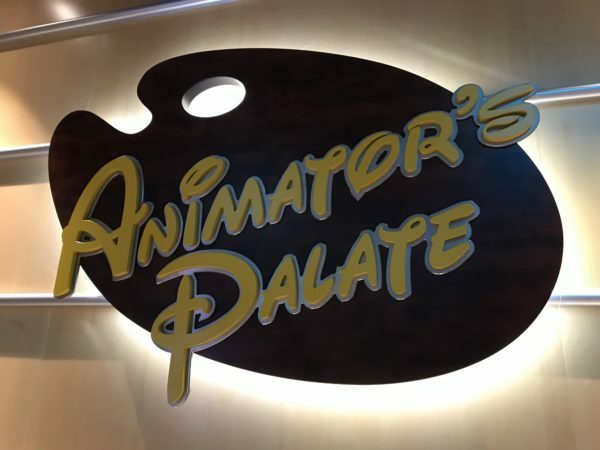 While on board, I dined at three restaurants, including the very popular Animator’s Palate. 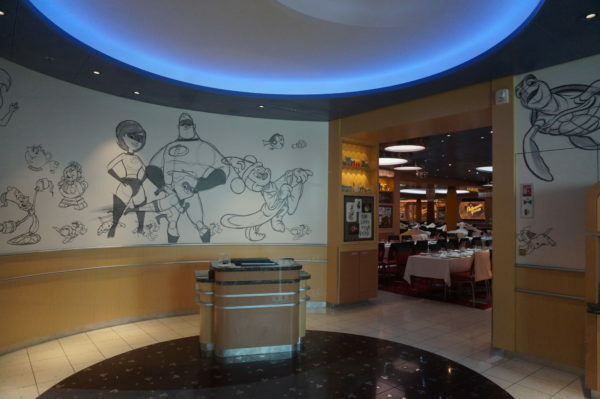 Let’s take a look around Animator’s Palate on the Disney Dream. 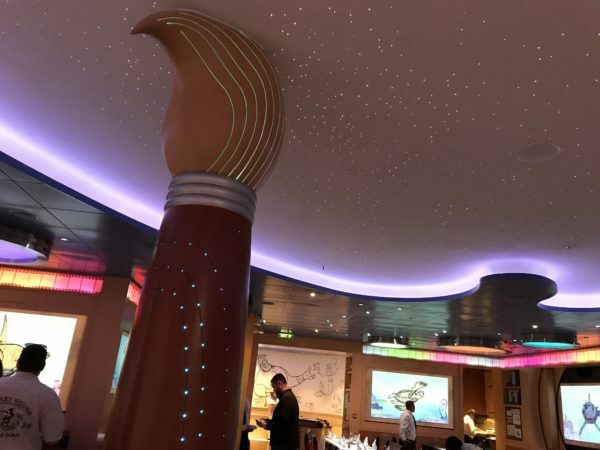 All of the dining on the Disney Cruise Line is pretty incredible, but Animator’s Palate is one of the most unique and impressive “restaurants” I’ve ever experienced, and that’s not an overstatement. There are artistic touches everywhere. Take a look at the door pulls- a pencil and a paintbrush! 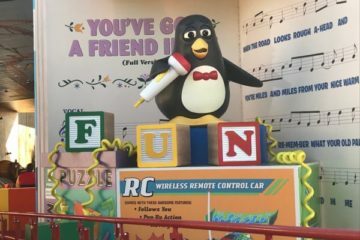 Welcome to Animator’s Palate! 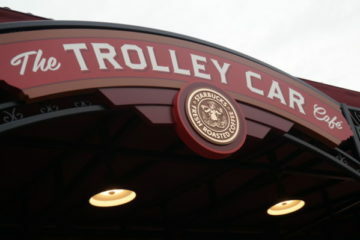 Check in here. Animator’s Palate is a restaurant because it serves food, but it’s so much more than that. It’s not a dinner show to the extent of Hoop-Dee-Doo Musical Revue at Disney’s Fort Wilderness Resort in Disney World, but it is pretty cool. The dining room doesn’t look like much when you first arrive. 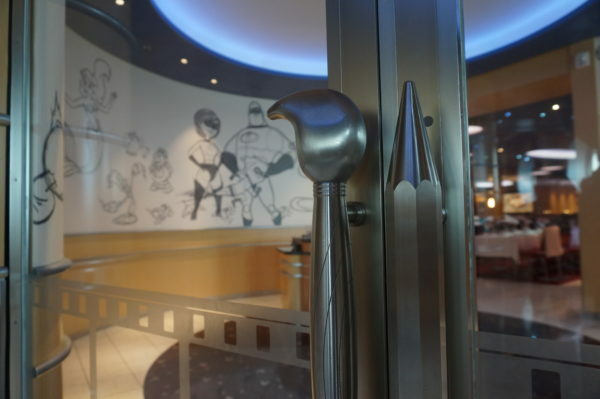 The focus of Animator’s Palate is Disney animation, and the entire experience revolves around that. 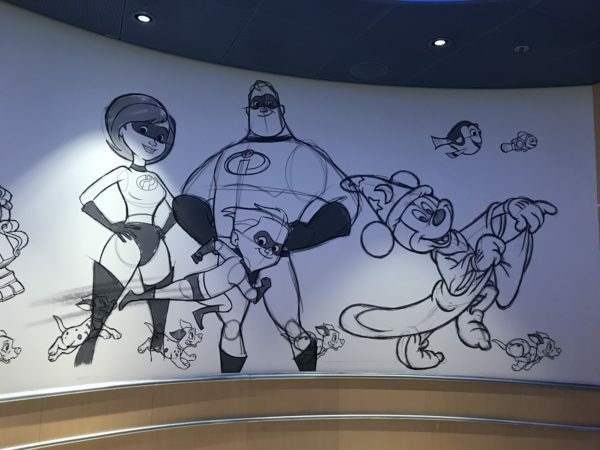 Large sketches of some of your favorite Disney characters cover the walls inside the restaurant. Be sure to check out all of the black and white sketches before your meal begins! Even crush begins as a sketch. I don’t want to spoil the climax of the show, but suffice it to say that there’s a lot to see and enjoy, and it’s something you’ll never forget! Sketches from from a variety of Disney movies like The Incredibles, Fantasia, 101 Dalmatians, and Finding Nemo. Animator’s Palate is engaging and dynamic, whimsical and fun for kids and adults alike. Because of all the activity, this restaurant can be very loud, but that’s part of the fun of it. The diners really get into the show! 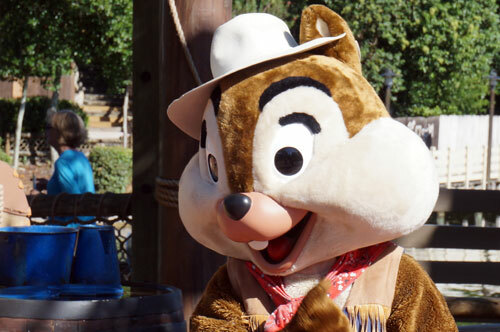 Crush comes to life and talks to diners during dinner! 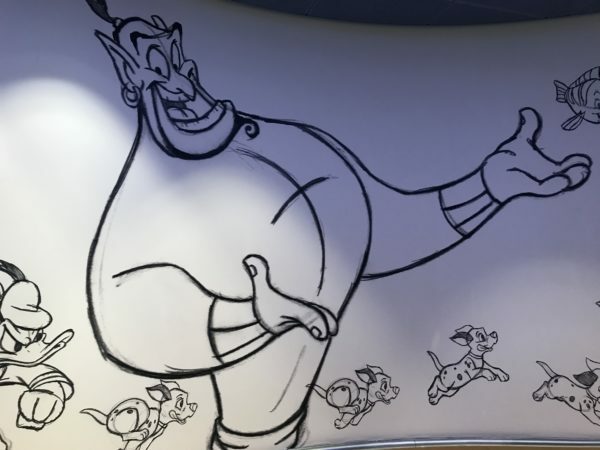 Animator’s Palate is located on every ship, but it’s a little different on each one. 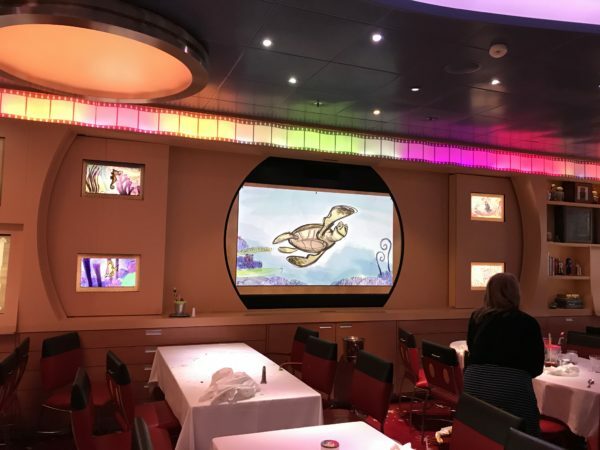 On the Disney Dream, Finding Nemo’s Crush talks to guests during their meal. 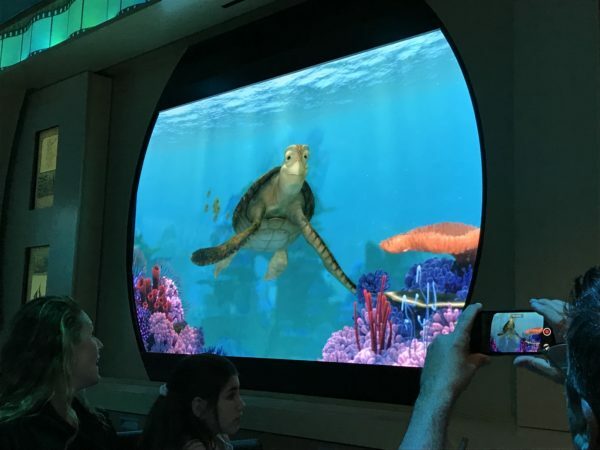 It’s a lot like Turtle Talk with Crush in The Seas pavilion at Epcot. 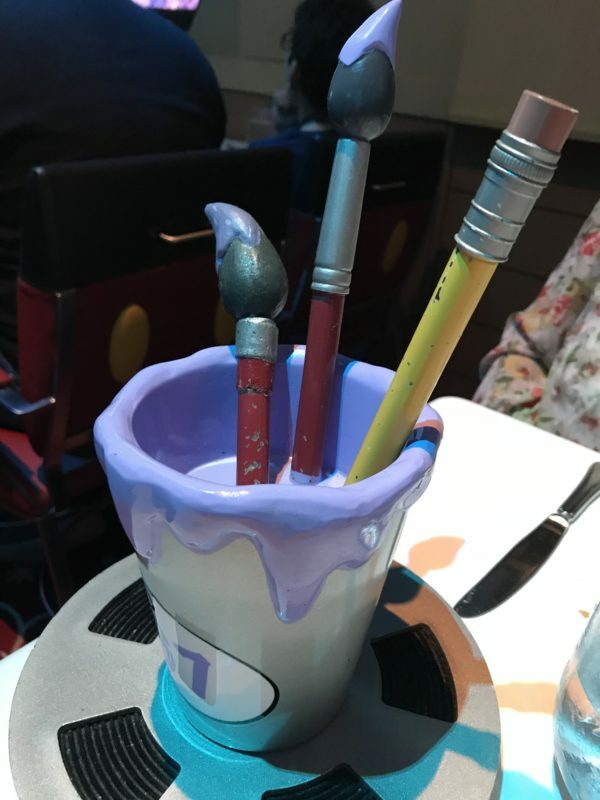 The restaurant itself is themed like an artist’s workroom with pencils, paintbrushes, and film strips scattered throughout, and you’ll even notice these touches on the dishes. The table numbers are paint cups with brushes and a pencil. 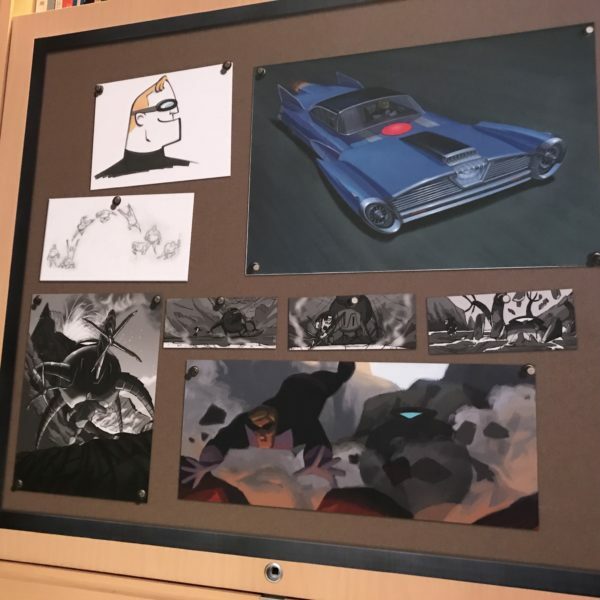 Some of the art shows how animation progresses from sketches to what we see in the movies. As the dining room starts to come to life, it gets really beautiful! 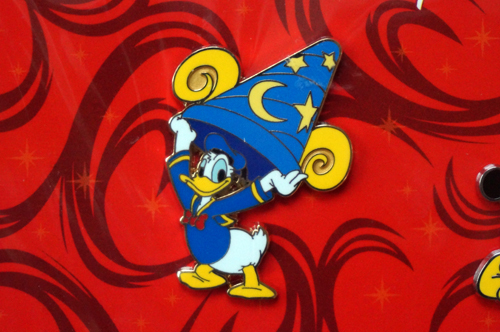 Sorcerer Mickey invites you to explore the menu. The atmosphere may be the most impressive part of this dining experience, but the food is nothing to laugh at. 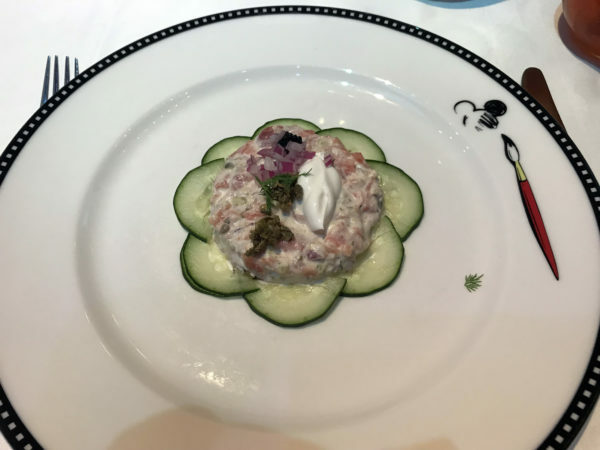 Like everything else on the ship, it’s upscale and delicious with a Pacific Rim theme, although the dishes have touches of familiar American cuisine. The service is excellent and on the level of fine dining. 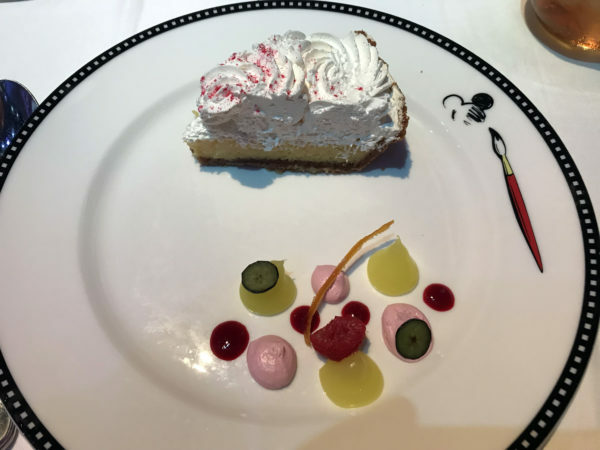 One really cool thing about dining on a Disney Cruise is that your server and his or her assistant follow you to every meal (except Palo or Remy), so they get to know you, and you get to know them. Animator’s Palate serves two mealtimes nightly usually at 5:45pm and 8:15pm. The food at Animator’s Palate may not be the star of the show, but it is quite tasty! There are a variety of appetizers like the Smoked Salmon Tartar and a Black Truffle Pasta Purseittes and soups and salads like butternut squash or potato soup (GF) and arugula leaves (GF). The plating reflects the creativity of the restaurant! Even the salads look beautiful. 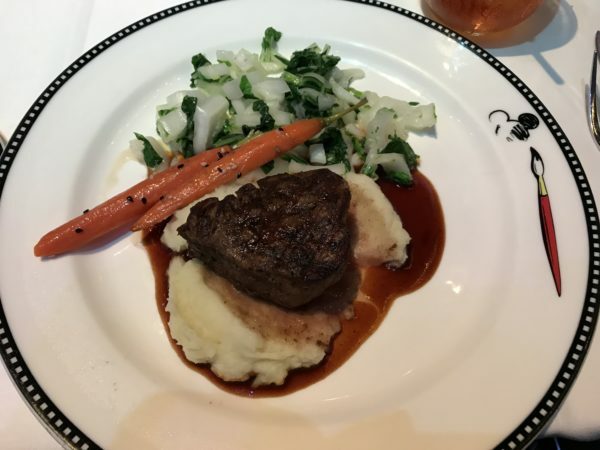 Main dishes include Grilled Tuna Steak, Lemon Thyme Marinated All Natural Chicken Breast (GF), Herb Crusted Pork Chop, and Ginger Teriyaki Dusted Angus Beef Tenderloin. Bread service is also available for dinner, but don’t forget to save room for dessert! The beef tenderloin was delicious! There is also a lot of variety here like Dark Chocolate Mousse (GF), Chocolate Fudge Cheesecake, Apple Crumble Rice Pudding, Lemon Icebox Pie, and a basic Cookies n Cream Sundae. There are also a couple no sugar added options including a Deconstructed Carrot Cake. 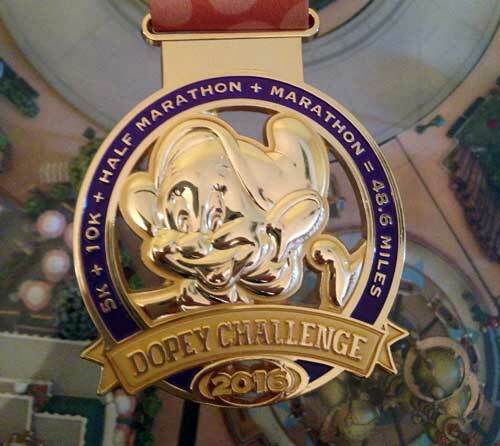 Disney gets creative with their plating. 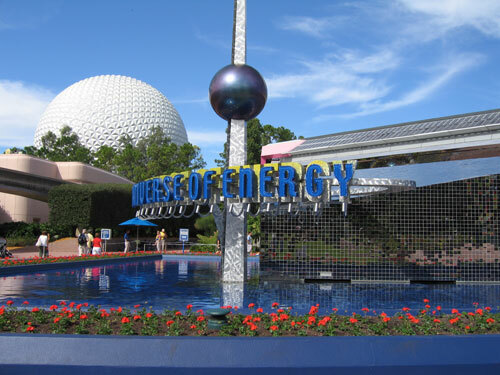 Can you find the hidden Mickey? What’s really awesome about the meal is that the animation on the walls comes to life as the meal progresses. This is quite the dining experience! 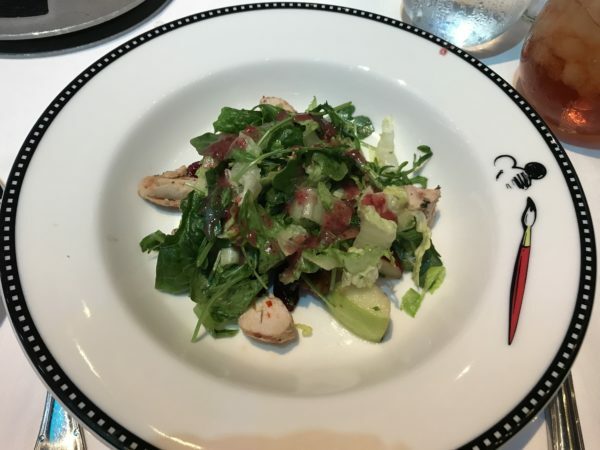 Animator’s Palate is part of the rotational dining plan, and the cost of the meal is included in the cost of your cruise. You should still tip your server though, but this can be done in your final gratuity at the end of your cruise. While the dining experience was a bit loud, the entertainment and the food were great. 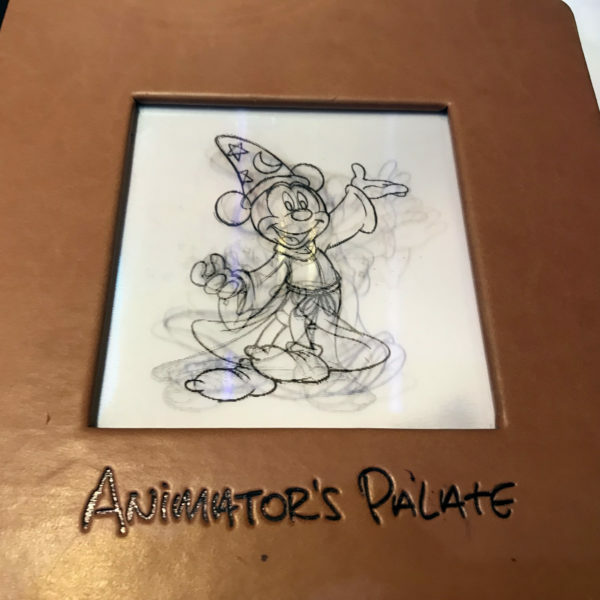 If you take a Disney Cruise, be sure to check out Animator’s Palate. 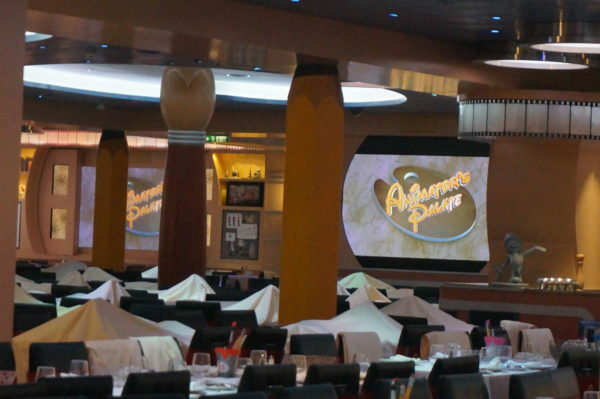 Have you ever dined at Animator’s Palate on a Disney Cruise?